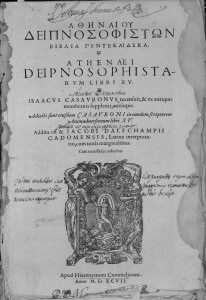 The Greek author Athenaeus of Naucratis (2nd-3rd century AD) composed a work entitled Deipnosophistae (The Learned Banqueters). 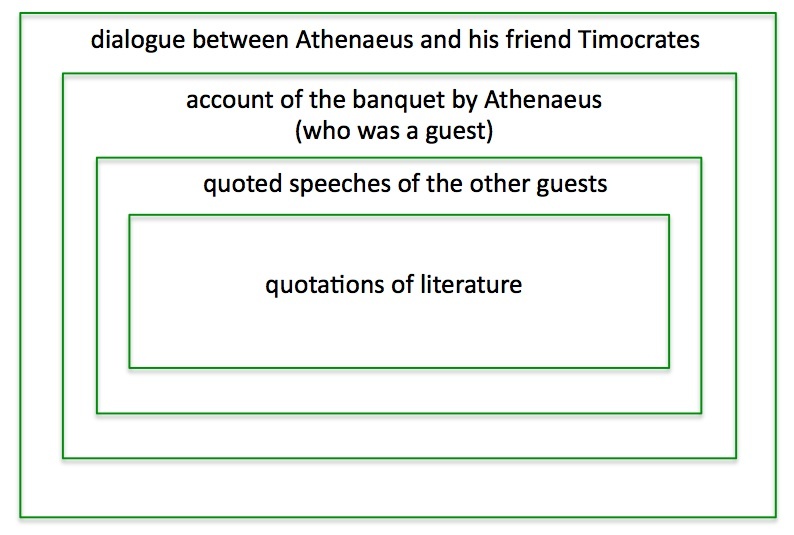 The Deipnosophistae is a fictitious account of several banquet conversations on food, literature, and arts held in Rome by twenty-two learned men. This complex and fascinating work is not only an erudite and literary encyclopedia of a myriad of curiosities about classical antiquity, but also an invaluable collection of quotations and text re-uses of ancient authors, ranging from Homer to tragic and comic poets and lost historians. Since the large majority of the works cited by Athenaeus is nowadays lost, this compilation is a sort of reference tool for every scholar of Greek theater, poetry, historiography, botany, zoology, and many other topics. 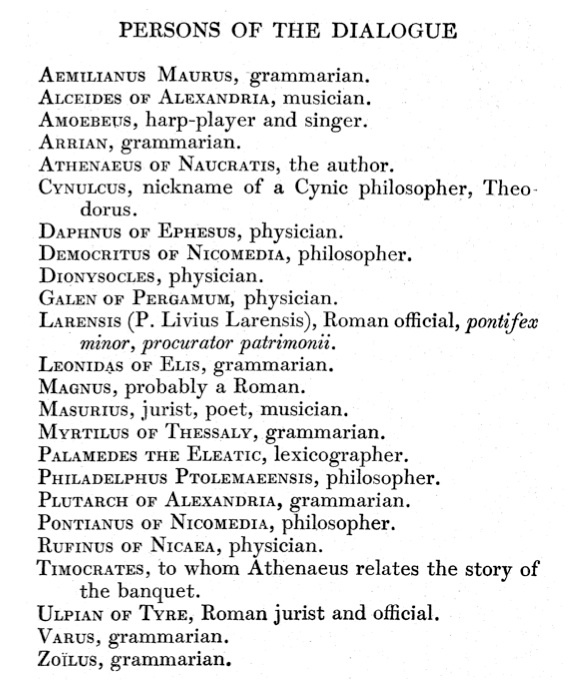 Athenaeus presents 22 banqueters, who are grammarians, musicians, philosophers, physicians, jurists, and poets. Other guests are quoted anonymously.